Fresh out of my candidacy exams, I couldn’t really get into any books. Call it burnout or relief or just plain time for a break, but I kept getting 10-15 pages into books and realizing I wasn’t taking in a single word. 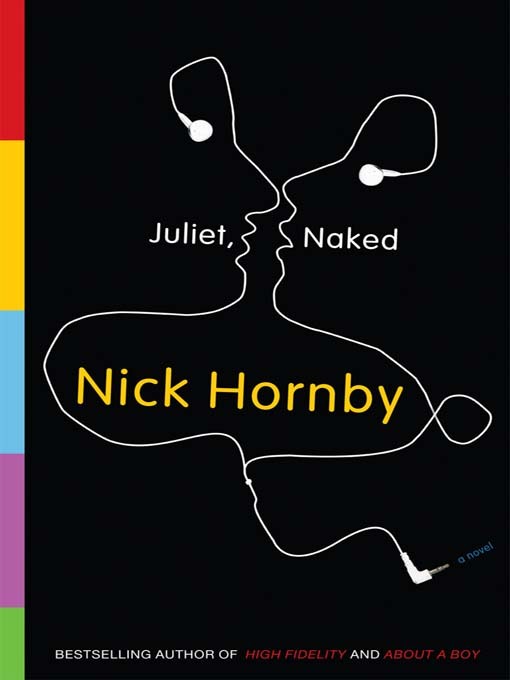 Well, I checked Nick Hornby’s book out from the Buellton public library and to my delight, I was 100 pages into it before I knew what hit me. As usual, Hornby’s style is humorous and captivating, and the story was entertaining throughout. I think one of my favorite things about Hornby’s stories is that he always writes about things with a brand of verisimilitude that I can relate to. Hearing his characters’ thoughts makes me think about the same issues in my own life (although I tend to be somewhat relieved to discover that I’m significantly happier with how I’ve lived my life to this point than most of his characters are), and they always become “round” characters more quickly than I would think possible. Juliet, Naked has perhaps one of the most successful happy endings (at least, I read it as a happy ending, although I think that could be a point of contention for some) I’ve encountered in a long while. Since he denies the reader the typical happy-ending-montage offered by the genre of contemporary “chick flicks,” he avoids the sort of heavy cheese-factor that kind of ending creates. Instead, his sort of guided open-ending offers the satisfaction of a choose-your-own-adventure story without waking the reader from the dream of the text. I really enjoyed Hornby’s book, and I’m glad I happened to see it sitting on the shelf in the library. While the title made it mildly embarrassing to check out from the librarian — a lovely and sweet woman whose daughter was a high school chum of mine — it was certainly worth the two-second blush, and read like a light 200-page novel rather than a thought-provoking 406-page novel.